Song Jong-Ho is cast in upcoming movie “Broker” (working title) which has already cast Kim Young-Kwang, Lee Sung-Kyung & Lim Ju-Hwan in leading roles. In the film, Song Jong-Ho will play Min-Joon. His character is a cold-blooded man who kills without emotion. Min-Joon is also a man of few words. Movie is directed by Kim Hong-Sun (“Traffickers“/”The Con Artists“). Filming for “Broker” begins February 4, 2016. Poster and main trailer added for upcoming revenge-thriller film “Missing You” starring Shim Eun-Kyung, Yoon Je-Moon & Kim Sung-Oh. The film features Shim Eun-Kyung playing a far different character than her past sweet/funny roles. Story for the film involves a daughter played by Shim Eun-Kyung who has waited 15 years for the release of the man that killed her father. “Missing You” will be released sometime this March in South Korea. Here’s 2 main posters for upcoming romance film “A Man and A Woman” starring Jeon Do-Yeon & Gong Yoo. Movie is directed by Lee Yoon-Ki (“My Dear Enemy“). 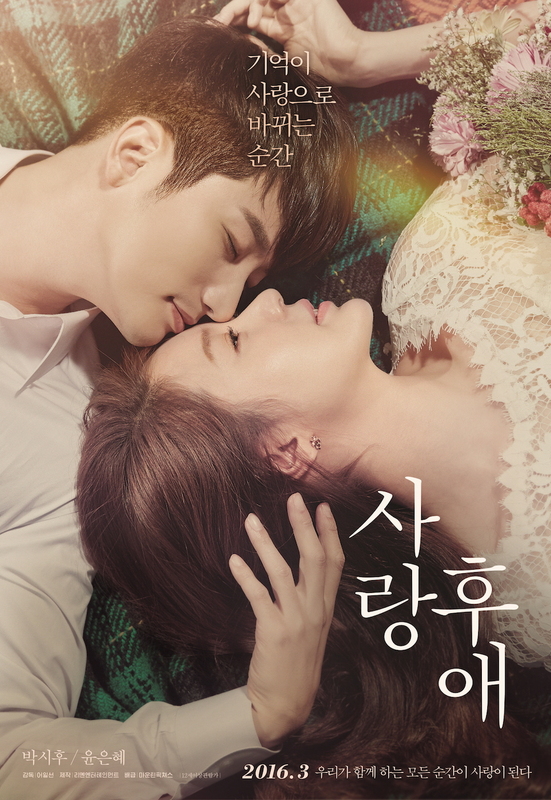 Release date for “A Man and A Woman” is now set for February 25, 2016 in South Korea. Main poster and trailer added for upcoming mystery-thriller film “Musudan” starring Lee Ji-Ah, Kim Min-Jun and Do Ji-Han. Story for “Musudan” is set along the Korean DMZ with teams from South and North Korea given 24 hours to figure out what happened. Release date for “Musudan” is now set for February 25, 2016 in South Korea. Here’s new still images of Park Si-Hoo & Yoon Eun-Hye in upcoming romance film “After Love.” In addition, release date is now set for March 10, 2016 in South Korea. English subtitled trailer for the movie can be viewed at AsianWiki. “Asura” will be released sometime in the second half of this year in South Korea. Actors Kim Rae-Won & Han Suk-Kyu are now cast in upcoming movie “The Prison.” Movie will be directed by Na Hyeon (screenwriter for “May 18“/”Forever the Moment“). In the film “The Prison,” Kim Rae-Won will play a detective. The detective’s brother is then killed. To find out what happened to his brother, the detective goes into prison as an inmate. He tries to get close to a man (Han Suk-Kyu) who appears to be a king among the inmates. Filming for “The Prison” begins February, 2016 in South Korea. Trailer and main poster added for upcoming romantic-comedy film “Like for Likes” starring Lee Mi-Yeon, Yoo Ah-In, Kim Ju-Hyeok, Choi Ji-Woo, Kang Ha-Neul & Esom. Movie is directed by Park Hyun-Jin (“Lovers of Six Years“). Here’s the first teaser poster for upcoming movie “After Love” starring Park Si-Hoo and Yoon Eun-Hye. The teaser poster reveals that the movie is now targeted for release sometime this March, 2016 in South Korea. Lee Byung-Hun & Kong Hyo-Jin are cast in new movie “Single Rider.” Movie will be directed by first-time feature film director Lee Joo-Young. Story for the film has Lee Byung-Hun and Kong Hyo-Jin playing husband and wife. Lee Byung-Hun’s character works as a branch manager for an investment firm. Kong Hyo-Jin’s character and son then go to Australia for their son’s studies, but the husband loses everything and goes to Australia. Filming for “Single Rider” begins March, 2016.